Martha McDonnell is going to miss a seminal moment in her life: her upcoming college graduation ceremony. And she has musical icon Sting to “thank” for her absence. 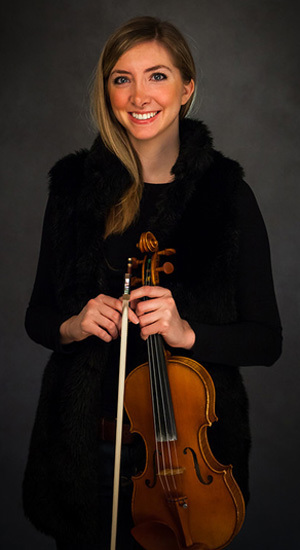 The Lawrence University senior and serious fiddler from Wayne, Ill., won’t be able to personally accept her Bachelor of Music diploma at commencement on June 15. Instead, she will be busy performing as a hand-selected member of the pit orchestra for the world premiere run of Sting’s new musical “The Last Ship,” which opens June 10 at downtown Chicago’s Bank of America Theatre. The production is loosely based on the 16-time Grammy Award winner’s ship-building hometown of Wallsend, England. Directed by two-time Tony Award winner Joe Mantello, “The Last Ship” is scheduled for a 38-show run in Chicago before heading to Broadway’s Neil Simon Theatre in late September. Thanks to a recommendation from a Scottish fiddle-playing friend of hers, McDonnell was extended one of a limited number of invitations to audition for a chair in the show’s orchestra. “Going into it, I was very anxious because it wasn’t like any audition I’ve ever done and I really had no idea what to expect.” McDonnell said of the audition conducted at Chicago’s famed Steppenwolf Theatre. “Sting actually hadn’t shown up yet, but he came in just as I sat down to start playing. What made the audition unique was the fact McDonnell wasn’t given a written-out score to play. They provided her charts just with chords, no notes. 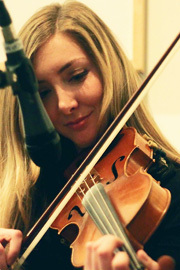 McDonnell is currently working with Sting and his music director while writing her own fiddle part for the show. 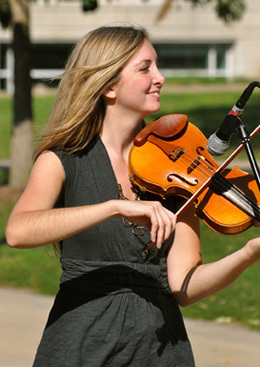 As her musicianship has evolved, McDonnell has employed the discipline and technique of her classical training to take her fiddling to the next level. Conversely, fiddle music also has added depth and joy to her classical performances. An important part of her fiddle world includes the Involuntary String Band, a popular folk fusion group that McDonnell founded in 2012. The four-member band grew out of a Lawrence class, the Entrepreneurial Musician, taught by Brian Pertl, dean of the Lawrence Conservatory of Music. In its short existence, McDonnell’s Involuntary String Band has already performed for both Wisconsin Public Radio and Wisconsin Public Television, wowed the audience as the musical guest for a Lawrence convocation last spring, played in Appleton’s inaugural Mile of Music festival last August and most recently performed a bluegrass concerto with the Lawrence Symphony Orchestra. As for whether McDonnell will accompany “The Last Ship” on to New York’s Great White Way later this year, that is still to be determined.